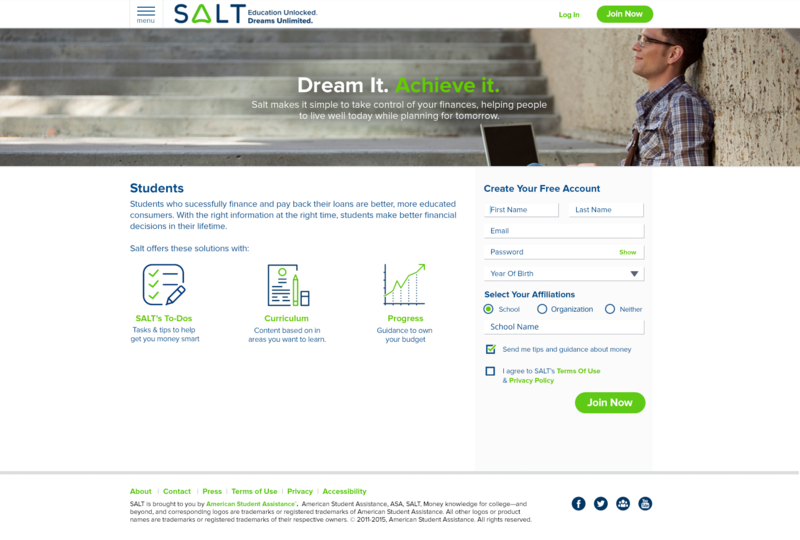 Designed and specified a responsive design based site and the user experience for student loan saddled site visitor. 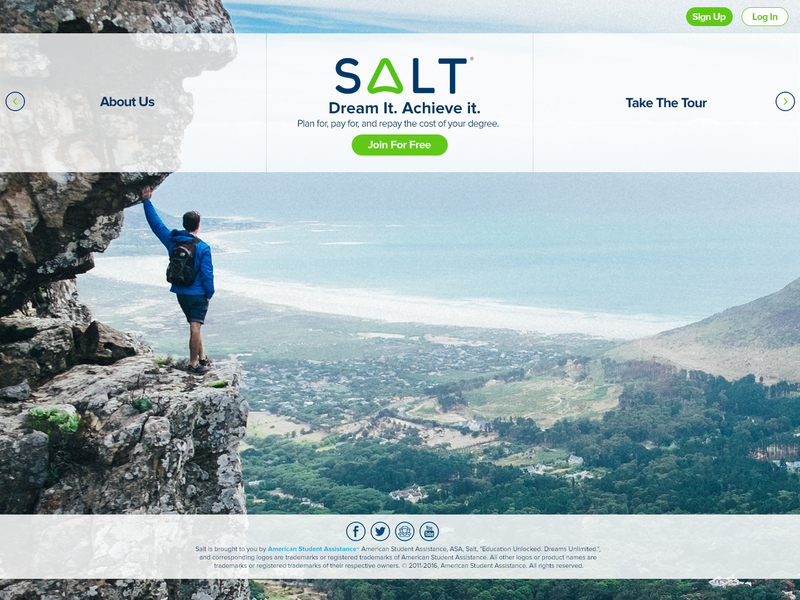 Contributed in multiple branding exercises, authoring of tools, lesson planning, and specified behavior for saltmoney.org and its in-house development team. 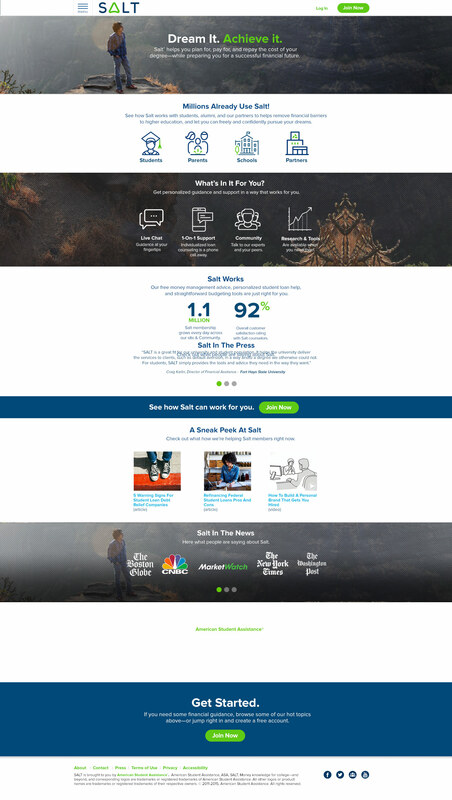 Case Study: Building a CMS from the ground up. My team & I established a taxonomy of terms for ASA to build a tangible content inventory defined by category and tags. In parallel, I helped define, and design the interface and functions. 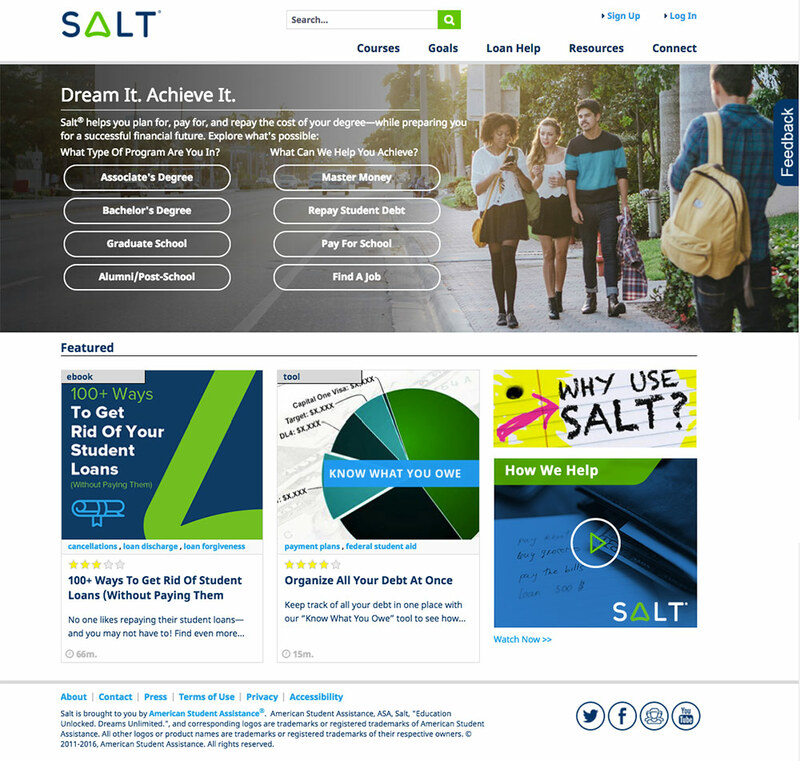 Establishing the terms for implementation.We worked with marketing, analytics, development, and borrower’s services to solve for both existing and new product enhancements for the product. To aid company wide adoption, we established an implementation plan and led discussion on 5-point customer outreach effort with a tech requirements proposal. All of this was building toward a broader CRM implementation requiring system / platform assessments and post discovery recommendations.